I was in a stamping mood this weekend and made this card to have in my stash. 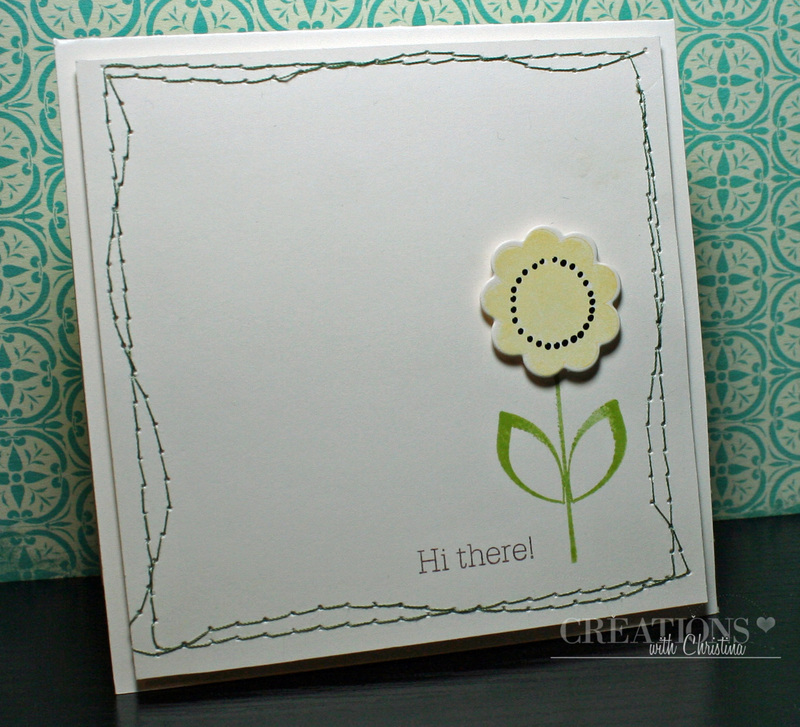 Today's card is with Paper Trey Ink's Flower Fusion #1 die and Flower Fusion #1 & #2 stamp sets. 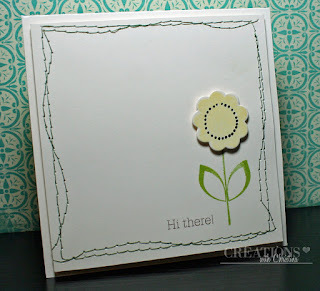 I also used Paper Trey Ink's Vintage Cream card stock, Simple Chartreuse and Lemon Tart Ink, as well as Stampin's Up! Chocolate Chip ink. I did some crazy sewing around the edges and added a little more detail to the flower with some Black Enamel Accents that I found at Michael's. So pretty! Perfect card to have waiting in your stash...TFS! Love it so simple and elegant!! Simple but yet so pretty. Love it. That stitch work makes the card! I love it! Love it girl! So simple but so fun. It screams cheer at me and made me smile. I love the stitching that you did, really looks great all around the card as a border. Nice job! I love the stitching. Wonderful card. Such a sweet card Christina. Thank you for sharing it. Loved the sewing by the way. I love the sewing element on this card, it's beautiful! What a nice card. Thanks for sharing.Barbara W.
Fabulous! I think I need to get a sewing machine...LOL! I am a huge fan I LOVE all your videos and creations! So cute, Christina! I LOVE PTI! I really love the card! Love the super simple design--So perfect!! I'm going to try making some similar cards using my mini sewing machine. I hope that I get awesome results like you! I LOVE your crazy stitching and will be plugging in my sewing machine!! I just love your sweet simple card. I love the design. It's not cluttered with a lot of images. Simple and sweet. Love the stiching. Nice card today. Love your nails! Hi, Can't wait to get flower fusion #1 & #2 in the mail soon :) Can I ask what acrylic blocks do you use? The round ones with the grips - they look so easy for smaller stamps.